When Capri was tiny, there were two brands of cloth that I used pretty exclusively with her. A couple months after her second birthday, we started getting night time leaks. When she's in bed with us, this is a really inconvenient thing. I thought maybe we were having a problem with wicking. I stripped all our diapers and we still had the leaking issue. I even bought a few new ones. I didn't want to buy many, as we are potty learning and diapers are mainly for nights and trips out. But still, we had leaking issues. Pocket diapers had never been my favorite. They tend to not be as trim fitting and don't have that cotton feel like the AIO diapers that were my favorite. However, in our struggle to figure out the leaks, I tried a pocket diaper one night - no leak! I tried a pocket again the next night - no leaks! I only had a few pockets, so you know how my laundry schedule was going. I also found that hybrid diapers work well during this time too- nice thick tri fold inserts with a PUL cover. 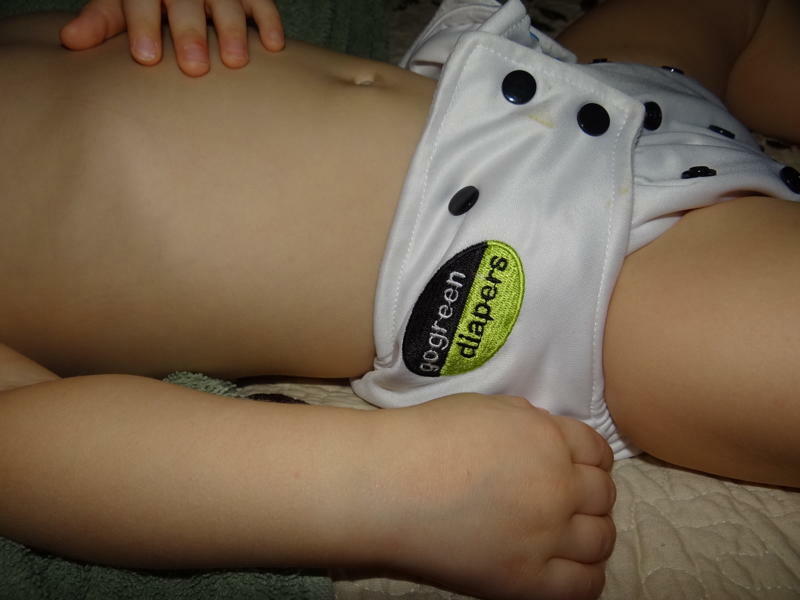 So, when I was contacted by Go Green pocket diapers, I was excited to try them and confident I would like them. And I did! No leaks - all night long. Easy to use, easy to wash. And, Go Green diapers offer the most size adjustments you can find in a cloth diaper.